Rosa Damascena (Rose) Flower Water. Only carefully selected rose petals are distilled by a process of steaming. Berber’s Treat Rose Water is 100% pure & natural. The uplifting and divine scent will refresh, soothe and calm your skin. Pure & Organic Moroccan Rose Water. Fresh and divine rose scent will calm and soothe your skin. Known to reduce and heal heat rash conditions. Helps calm spots, zits and balances oily skin. Refreshing "pick me up" spray for those busy days or late nights. Our rose water is made by the distillation of actual rose petals. And yes... it takes a lot of roses! There are a lot of alternatives that use just ordinary distilled water and a pinch of rose essential oil, we're proud to offer the real and organic rose water. We know you'll love our delicious scented rose water but in case you are not satisfied, we offer a 30 day money back guarantee! The product that people instantly fall in love with. The fresh scent of divine roses is so refreshing you will become irreplaceable. For everyday use: In the evening you can use it as a skin toner after removing your makeup. Or use it in the morning just before applying your make up. It works both ways and helps to cleanse and tighten pores and capillaries. Not only that, rose water helps to regulate oily skin and calms spots. Add to basket now and feel it for yourself! Use this rose water with our Rich Mineral Clay to prepare a face or body mask. Just use rose water instead of ordinary water. This will create a powerful detox clay mask. 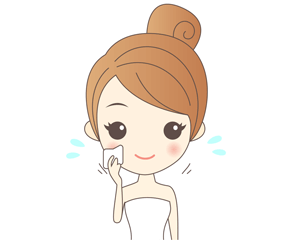 Spray on cotton pad and tap gently on face and around the eyes. Use our Berber’s Treat Rose Water in the morning to reduce puffiness and spritz as needed throughout the day to refresh and calm the skin. Pamper your tired skin in the evening by removing excess oil and dirt. The calming aroma will also help you relax and promote better sleep. Spray on face after long hours in front of a computer for a great "pick me up" feeling. TIP: Best used chilled, you may refrigerate the rose water to keep it cool and fresh!